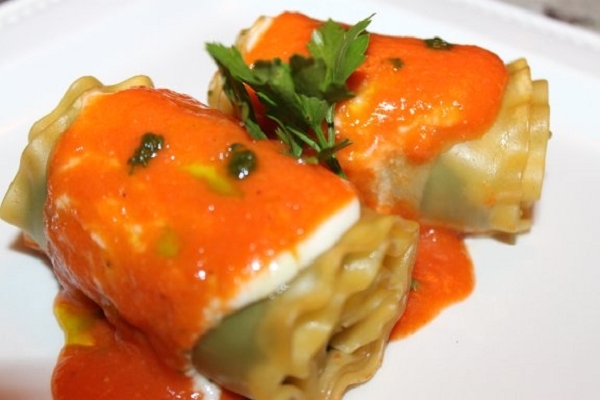 Just as tasty as traditional layered Lasagna, these spinach stuffed lasagna roll ups are individually portioned together with béchamel, parmesan cheese, a special French tomato sauce and garnished with pistou (the French pesto). A great way to get your kids to eat spinach too! 1. Preheat oven to 350 degrees. 2. Bake uncovered for 30 minutes or until golden brown on top. 3. Let rest for 5 minutes before serving. This was the first dish that we really didn’t like. This just didn’t do it for any of us. Good thing we get so many wonderful meals from Maria that we had plenty of backups to pick from. I was so excited to have a vegetarian option, but wrong! Ham and chicken stock. I should have read the ingredients... Wasn't a good fit for my family, but maybe you'll like it! Meatless, which was a nice change for us. Nice delicate flavors. Not my favorite. I found it sort of bland. The portion size was perfect though! I understand that authentic Italian pasta dishes have less sauce, but I wasn't blown away by this. But, everything was very fresh and great quality, which is one of the main reasons why I love Maria's meals! This is my least favorite of the meals I've tried so far. 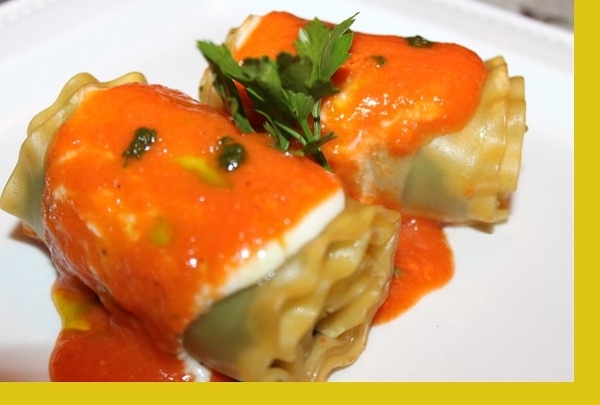 My friend said the lasagna rollups were "pretty good", but I didn't care for them. They require no prep, which is a plus. I could see pieces of ham in the rollups, but I couldn't taste them at all. I really liked the sauce, but neither of us felt there was enough of it.